If you haven’t attended a summer concert in the beautiful Megaro Gyzi Mansion, tonight is your chance. The master Haig Yazdjian together with outstanding musicians present songs and tunes from different places and time through a voice switching game. 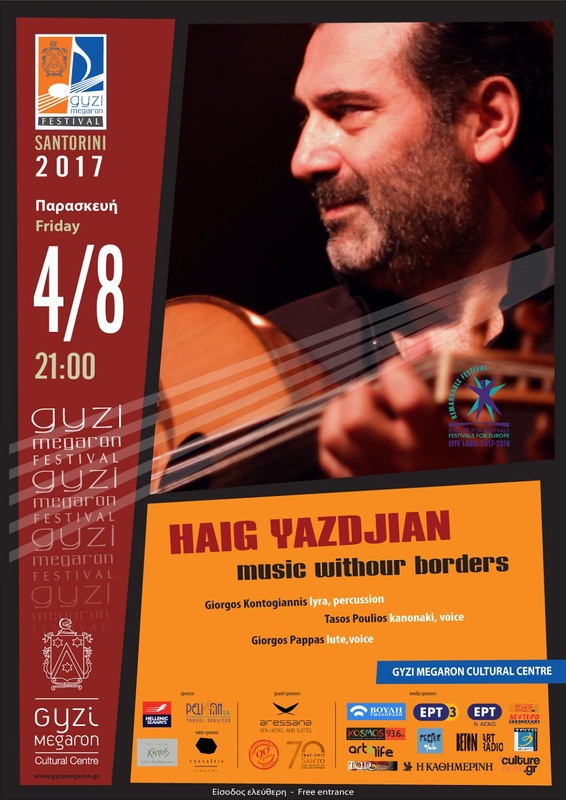 At the Megaro Gyzi Cultural Center, in Fira, at 21.00. Free entrance.